What are the Biggest Progressive Jackpots Online? - Casino Answers! 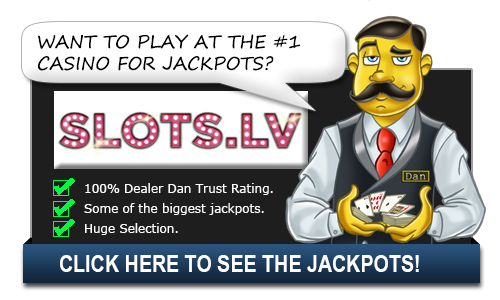 Casino Answers » Casino Progressive Jackpots » What are the Biggest Progressive Jackpots Online? What are the Biggest Progressive Jackpots Online? 1. Mega Moolah: A perennial topper, Mega Moolah is a 5-reel slot that is based on animals of the African savannah. Mega Moolah is owned by online gambling giant Betway and was started in 2008. Over the years it has risen to become the undisputed king of online progressive jackpots, handing out more cash in jackpot winnings than any other jackpot. The Mega Moolah slot uses five African animals; Cape buffalo, monkey, elephant, zebra and lion on the reels. There is also a headhunter reel which is the scatter symbol, and gives the player an extra three spins for free. Whenever the lion appears on a winning combination, it doubles the payout. Mega Moolah is known for handing out large jackpots that run into millions, with the highest win, of $17.9 million having been awarded in 2015 to Jonathan Heywood, a former British soldier. 2. Mega Fortune Jackpot: Mega Fortune, like Mega Moolah was launched in 2008 and is also renowned for its generous payouts. The slot uses five symbols; diamonds, champagne, limousines, yachts and gold, which are perhaps the ultimate embodiments of riches. The most lucrative Mega Fortune payout was $17.8 million, (just short of Heywood’s Mega Moolah payout) which went to a Finnish man in 2013.In order to win the jackpot, you will need to qualify for the bonus round whereupon you will spin a concentric wheel. If the wheel stops at the jackpot symbol, you are awarded the progressive jackpot. 3. Hall of Gods: The reels on this jackpot is based on Norse Mythology with the gods Thor, Odin, Idun, Loki and Freya featuring. Ravens are used as the scatter symbol, giving the player at least ten free spins when they appear three or more times on the reels. Getting Thor’s hammer three or more times earns the player a bonus round where the goal is to find three Mega jackpot symbols. The jackpot is won by cracking mirrors with Thor’s hammer and matching three prize symbols. The biggest jackpot payout ever handed on the Hall of Gods was $7.7 million in 2012, which went to an unnamed Swedish player. 4. Arabian Nights Slot: Arabian nights is one of the earliest online progressive jackpot, having launched in 2005. The theme of the reels is that of an Arabian town at night, with symbols such as a camel, sword, genie lamp, tent, pointy shoes, Fez hat and an Arabian man. The lamp symbol is the scatter, giving the player an extra free spin when it appears at least three times. In order to qualify for the jackpot level, one must bet maximum stakes and land five or more Arabian man symbols in one pay line. The biggest prize ever won in the Arabian Nights jackpot is $8.7 million in 2015. 5. Beach Life Slot: Beach Life Jackpot, which is run by Playtech was started in 2007 and is based on a beach theme with symbols such as the sun, surfer, sunbather, underwater treasure chest, ice cream, snorkeler and a sandcastle. The sun is used as the wild symbol, the sandcastle as the scatter symbol and the treasure chest symbol triggers the bonus round. In order to get into jackpot contention, the player must activate all 20 pay lines and five sun symbols in the 20th line. The highest jackpot ever paid on Beach Life was $8.3 million, which went to a British player in 2014. 6. Mega Moolah Isis Slot: This Egyptian themed jackpot features the symbols of Cleopatra, an eagle, a mummy’s tomb, Eye of Horus, and various Egyptian artefacts. The scatter symbol is the eagle and Cleopatra is the wild symbol, allowing the player to substitute other symbols for a winning combination. There are four jackpots that can be won- mini, minor, major and mega. The Mega Moolah Isis jackpot is part of the larger Mega Moolah jackpot, which means that players become part of Mega Moolah when they land the jackpot.